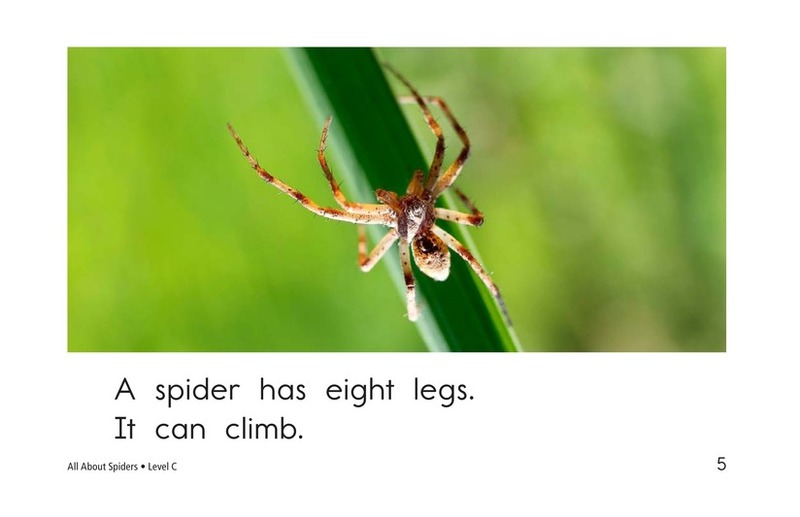 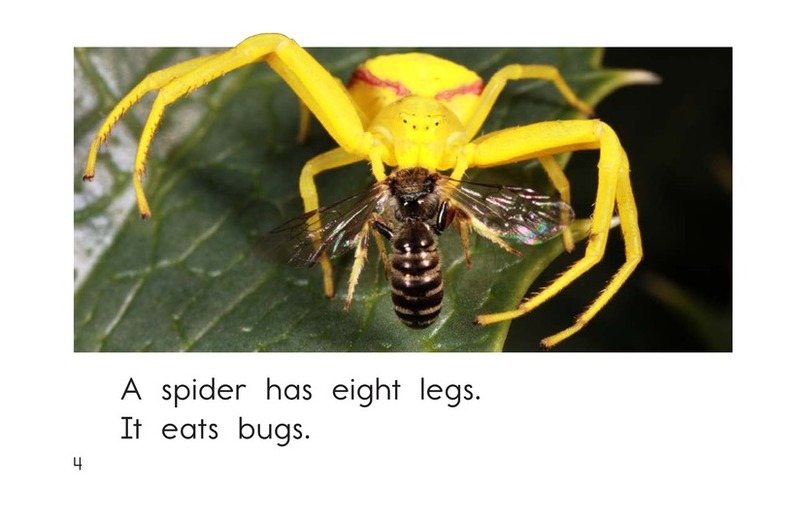 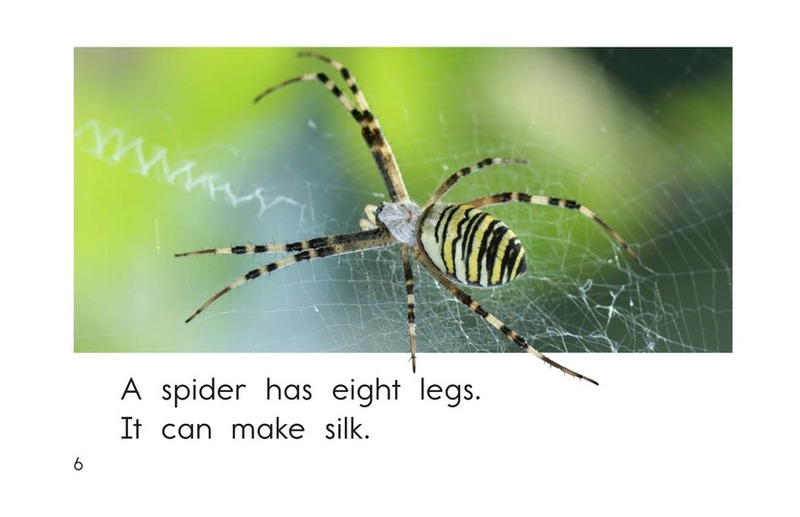 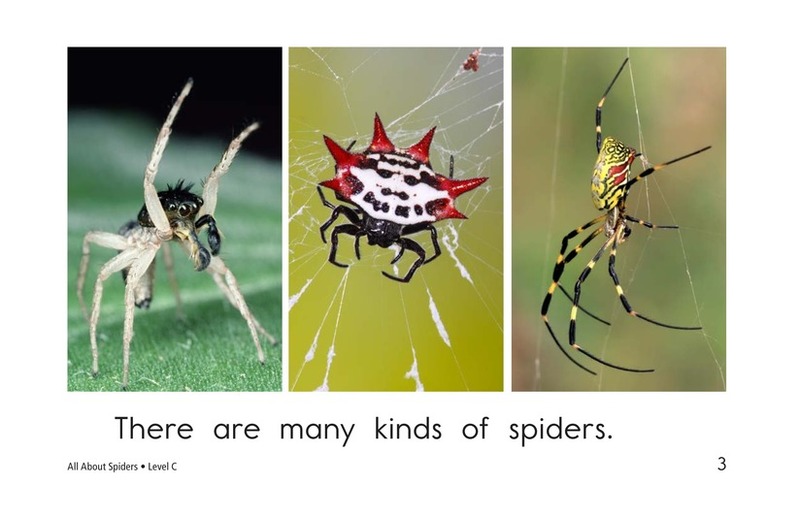 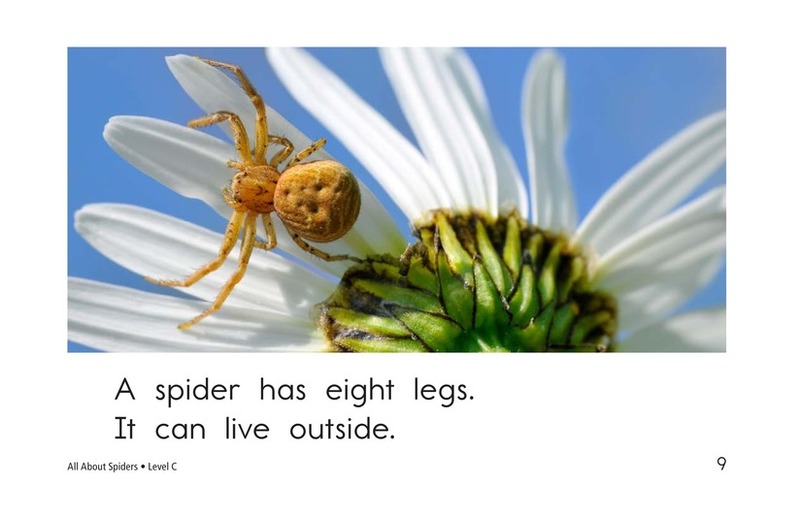 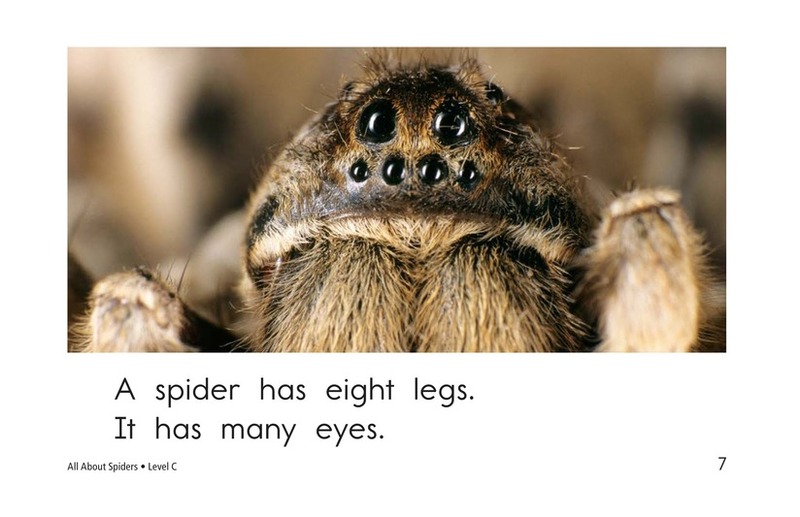 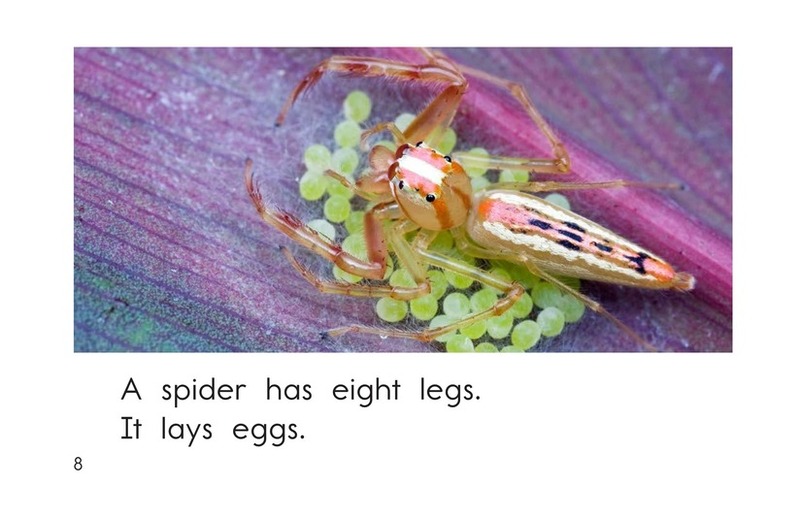 In All About Spiders, students will learn about these fascinating eight-legged creatures. 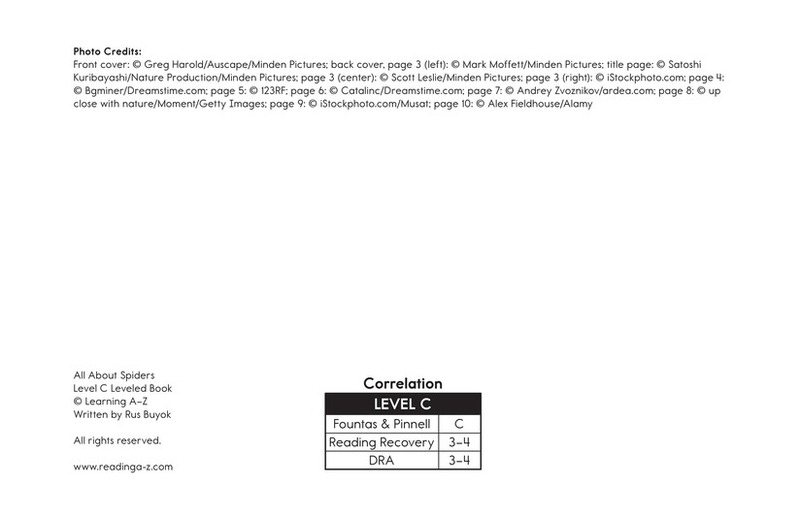 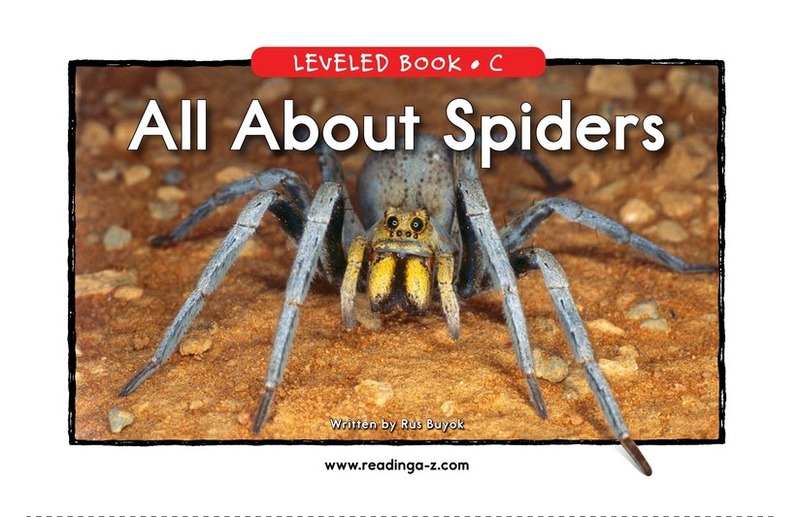 High-frequency words, repetitive phrases, and detailed photographs support readers. 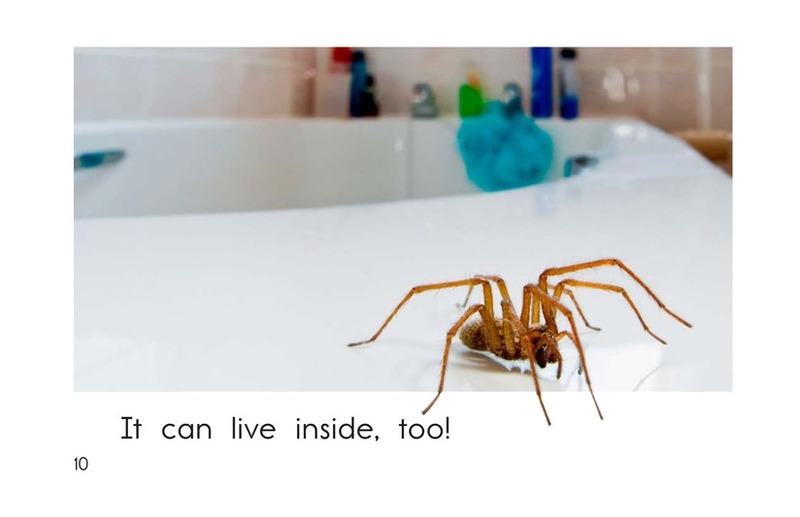 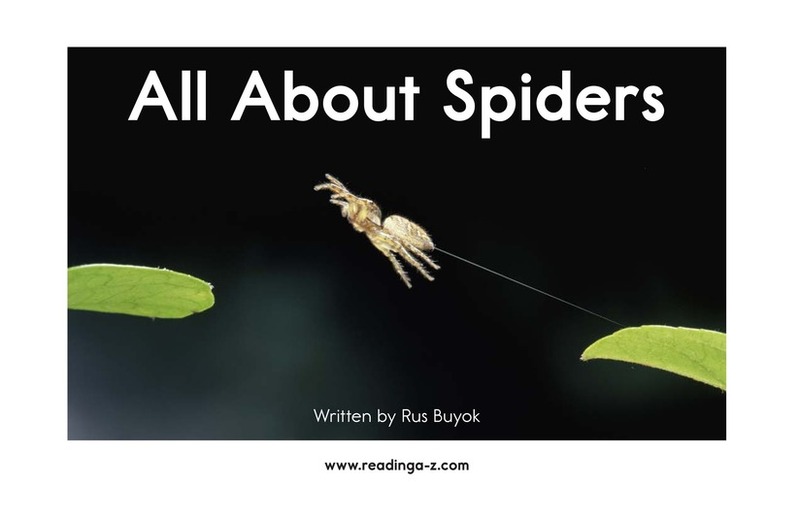 Students will have the opportunity to determine the author's purpose as well as to ask and answer questions as they read this engaging book about spiders.